As days start getting shorter, and that morning chill in the air lingers into afternoon, all around sure-fire signs of the approaching fall, aren’t hard to miss. Fall around the lake area is a prelude to Deep Creek’s infamous long winters. To make sure that your flower, vegetable and water gardens survive the pre-winter cold, take a look at these tips. Once autumn begins, it’s a good time to start thinking about frosts and freezes and the effect they can have on your plants. Most garden plants, assuming they’re hardy in your area, will weather the winter without any problem. An abrupt, early freeze may cause them to drop their leaves prematurely or cause some tissue damage, but most will rebound next spring. However, there are exceptions. 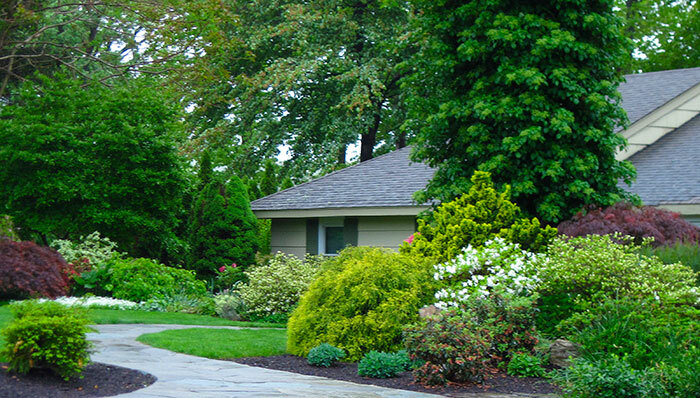 Use the following tips to ensure that your garden is ready when the frost bites. Depending on where you live, some plants may behave as either annuals or perennials that simply can’t handle even a light frost. Many people don’t bother trying to extend the life of plants generally not meant to last more than a year and let them die back after a freeze hits. However, if you grow tender annuals and perennials in pots and want to save them, move the pots into the garage or house when frost threatens and take them back out when the weather warms a bit, at least for a week or two. This process allows the plant acclimate better to a drastic change in growing conditions. Tropicals can go in the house or garage before temperatures drop below 45 degrees F. Before bringing them inside, spray any plants that appear to have pests, such as spider mites, aphids and mealy bugs. A solution containing neem oil works well for treating these pests. Once the plants are inside, cut back on watering and withhold applying any fertilizer until next spring. Don’t forget to prepare your house for the new arrivals. There’s nothing worse than watching the evening weather, only to discover that a freeze is on the way, and realize that you don’t have any room for your plants. 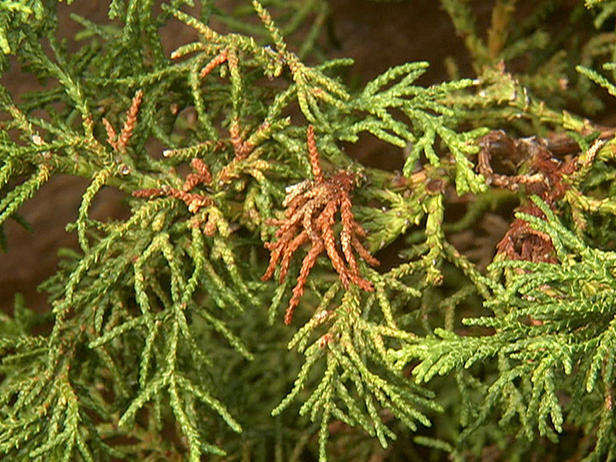 Evergreens in pots can be especially vulnerable. If their roots freeze, they may not make it through the winter. Those in large pots may be fine during mild winters, but evergreens in small pots should be protected. Place them against a wall and cover the pots with mulch or shredded leaves. Keep them watered throughout the winter. Don’t allow the root balls of evergreens in the garden dry out completely, even if it means dragging the hose out in the middle of winter and giving them a thorough soaking. Cover tender seedlings in the vegetable garden. Fall veggies, especially tender seedlings, may need protection, although most can survive temperatures of around 28 degrees F with little or no tissue damage. Nevertheless, when the forecast calls for temperatures in that range, keep a few blankets handy to cover crops overnight. During the day, if temperatures rise above freezing, remove the blankets so that excessive heat doesn’t accumulate beneath the coverings. Some people use clear plastic to protect their plants. Plastic causes more accumulation of heat, which is good, but if you don’t take the plastic off before direct sun hits it the next day, your plants will cook. During a hard freeze, it’s likely that tender new plant growth will die back. Cover tender seedlings in the vegetable garden. Fall veggies, especially tender seedlings, may need protection, although most can survive temperatures of around 28 degrees F with little or no tissue damage. Nevertheless, when the forecast calls for temperatures in that range, keep a few blankets handy to cover crops overnight. Grow hardy selections of culinary herbs during the winter months. Most culinary herbs are fairly tender but can survive temperatures in the upper 20s. However, some herbs, such as rosemary and thyme, can overwinter in their pots outdoors. Watch out for new plant growth. Interestingly, some plants may actually start to put on new growth in response to cooler temperatures, especially if summer temps were really hot. But that new growth is tender, especially in the case of broadleaf and needled evergreens, and unless it has a chance to harden off before a freeze, it may die back. Resist cutting back ornamental grasses. If you grow ornamental grasses, resist the temptation to cut the foliage back until late winter or early spring because all that top growth helps insulate the root ball. That’s especially true if the grass is only marginally hardy in your area. Keep in mind that freezes don’t just affect plants. They can wreak havoc on other features in your garden as well. Clean out and store pots in a protected area. 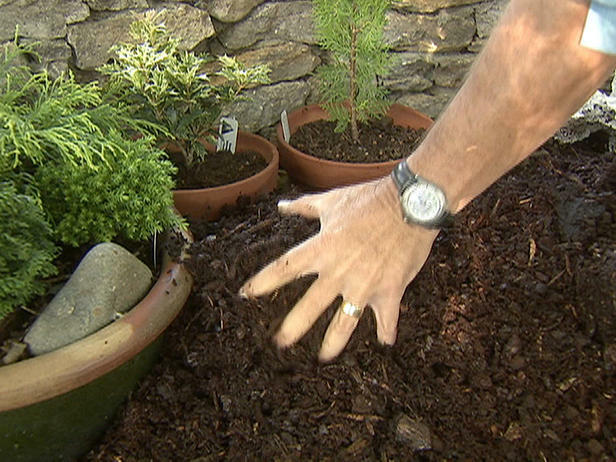 Even the best pots can crack if the soil is left in them over the winter, so remember to remove the soil. If you have time and are so inclined, scrub the pots clean with a solution of one part bleach to nine parts water. Store watering cans in a protected area. Watering cans, especially galvanized cans, may expand and crack if water left in them freezes. Empty watering cans and place them where they can’t collect rainwater. Water features are of particular concern during the winter. Small features will freeze, despite the running water produced by the fountain, and that can ruin the pump and the pot. So make sure you drain them and store the pot and pump in the garage or garden shed. Depending on where you live, larger water features and ponds may freeze over somewhat, but if they are deep enough or have a waterfall rapid and large enough, they shouldn’t freeze solid. Consult a pond installation expert on how to properly winterize your water feature. Prepare fish for the winter. Koi enter a state of suspended animation during the winter and survive the cold water with no problem. Cut back on feeding the koi because the more they eat, the more waste they produce. In cold water the bacteria that breaks down that waste doesn’t work well. So to maintain water quality, limit feeding to those occasional warm spells that may occur in the winter. Generally speaking, winter frosts and freezes don’t cause nearly as many problems in the garden as late-spring freezes, when plants are busting out all over with tender new growth. So don’t panic this winter when the mercury takes a dive. Just do what you’ve got to do, then go inside and warm up by the fire.